UPDATED: Fri., June 30, 2017, 10:12 p.m.
You can read the attorneys generals’ and Otter’s full letter to U.S. Attorney General Jeff Sessions online here; and the ACLU of Idaho’s full statement here. BOISE – Idaho Gov. 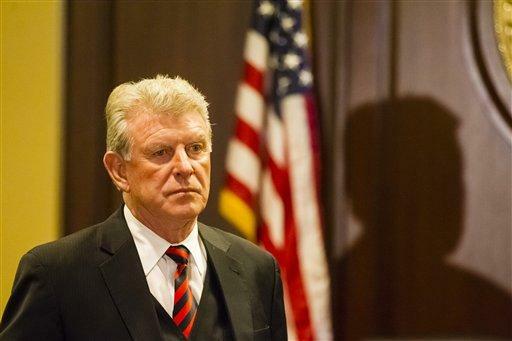 Butch Otter is the only governor who’s joined 10 state attorneys general – including Idaho Attorney General Lawrence Wasden – in signing a letter urging the Trump Administration to phase out the DACA program, which has provided deportation relief and access to work permits to nearly 788,000 “Dreamers,” or undocumented immigrants who were brought into the country as young children. In the letter, led by Texas Attorney General Ken Paxton, Otter and the attorneys general threaten to sue if the program isn’t cut off. DACA stands for “Deferred Action for Childhood Arrivals.” It was started by former President Barack Obama. The attorneys general and Otter commend the Trump administration for rescinding orders to expand the program, which they successfully opposed in court, arguing that the executive branch doesn’t have the power to change people’s legal immigration status. The attorneys general and Otter give the Trump administration a Sept. 5 deadline to act, saying they’ll voluntarily dismiss their earlier pending lawsuit in Texas if the deadline is met. “Otherwise, the complaint in that case will be amended to challenge both the DACA program and the remaining Expanded DACA permits,” they write. Otter believes the DACA program is “inconsistent with federal immigration law and the interests of national security,” his communications director, Mark Warbis, said Friday. The other states signing on to the letter were Texas, Alabama, Arkansas, Kansas, Louisiana, Nebraska, South Carolina, Tennessee and West Virginia. Published: June 30, 2017, 2:32 p.m. Updated: June 30, 2017, 10:12 p.m.